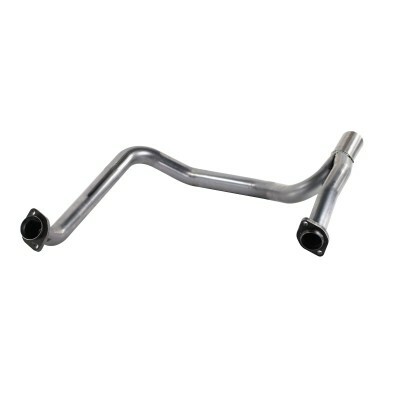 The aFe Mach Force XP Jeep "Y-pipe" is designed to connect the stock converter with either the stock exhaust or aFe's Mach FORCE XP exhaust system. A true merged collector is used to eliminate dead space that can cause turbulence and hinder flow that is prevalent with formed collectors. The smooth curves and increased diameter helps remove restriction and keeps exhaust gas flowing smoothly for improved performance and durability on and off the trails. For AUTOMATIC models. 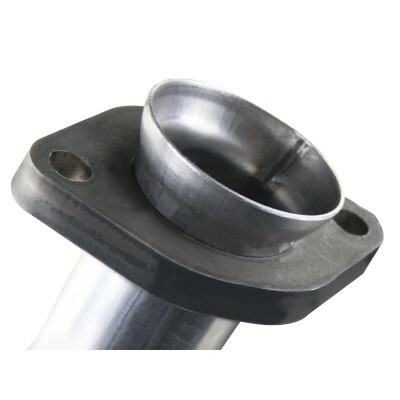 The aFe Mach Force XP Jeep "Y-pipe" is designed to connect the stock converter with either the stock exhaust or aFe's Mach FORCE XP exhaust system. 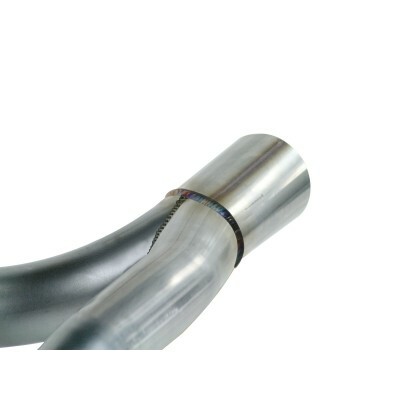 Designed also to accommodate aftermarket lift kits, this y-pipe features 2 x 2" into 1 x 2 1/2" stainless steel mandrel-bent tubing with OE flanges and 100% hand-MIG welded construction that resists corrosion. This Y-Pipe features a true merged collector to eliminate dead space that can cause turbulence and hinder flow that is prevalent with formed collectors. The smooth curves and increased diameter helps remove restriction and keeps exhaust gas flowing smoothly for improved performance and durability on and off the trails. The aFe Mach Force XP Catback was not only designed to give your Jeep maximum power. Because the stock exhaust system is so restrictive the engine actually has to work harder to push out the excess gases. This creates more strain on the engine and in turn will burn more fuel then needed. This system features a True Merge Collector, which eliminates dead space that can cause turbulence and hinder flow that formed collectors are prone to produce. By installing a more free flowing system such as the Mach Force XP, it will lower the back pressure and make the exhaust a lot more free flowing. This takes the strain off the engine and will give your Jeep that much needed fuel mileage. This is a win, win situation and within a couple years it will pay for itself. It comes with a lifetime warranty so there will be no doubts that this system will be the only one you will ever have to buy. Engineered with off-roading in mind, this system is designed to accomodate aftermarket lift kits and is built for durability on and off the trail.